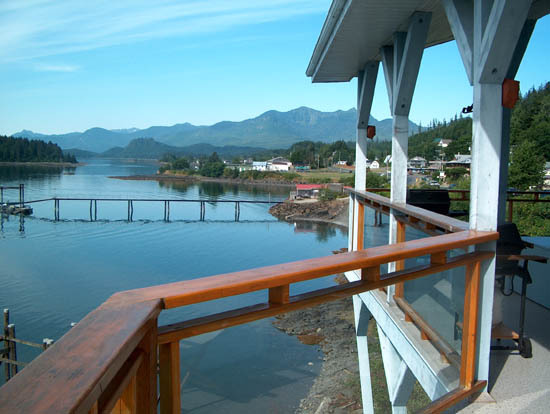 This fabulous home is situated at the heart of Queen Charlotte City, a friendly small town on the Queen Charlotte Islands, BC. Restaurants and shopping are located nearby; a short walk from the front door. The living room, kitchen and dining area overlook a picturesque fishing-boat harbour, with the hills of Moresby Island rising in the distance. This is as close as one can be to the departure point for all of Queen Charlotte City's fishing charters. There are three furnished bedrooms with King, Queen and Double beds. A very bright, comfortable and tastefully decorated luxury home. The living room, kitchen and dining area overlook a picturesque fishing-boat harbour, with the hills of Moresby Island rising in the distance. Open year round with nightly, weekly, and monthly rates available. 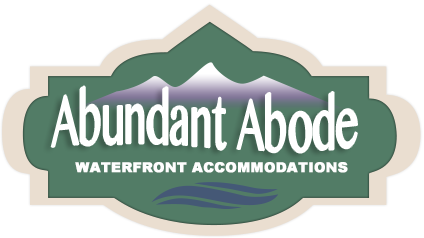 Once you arrive on Haida Gwaii, find the Abundant Abode.